Note: All the human beings appearing in this post are my blog mates and any level of persecution dealt to them is done with an intention to promote world peace. Names of the bloggers have been changed to protect my self Esteem,Santro and Mercedes Benz. Rakhi did it first and then Rahul Mahajan followed suit. 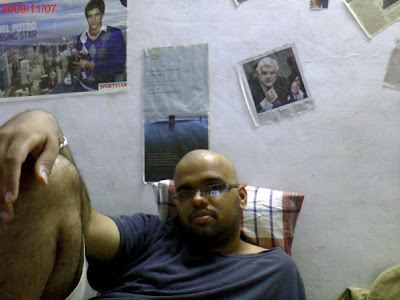 Now it is chronicwriter's turn to have his own Swayamvar. I welcome everyone to have a good time reading "Chrony ka Swayamvar". Chronicwriter never had any idea to have his own swayamvar. But when his blog-mate, Mandira attempted to shy away from answering a brilliant question posed by "one of the zillion applications available on FB", he became sad. Click the picture to read the brilliant question and her warped answer. The sadness engulfed Chrony's entire body and it even dragged him to a sports bar to immerse his sadness in alcochol. When he was about to pitch in his first drink, he noticed a familiar face in the bar. It was his friend Pritish Nandy. 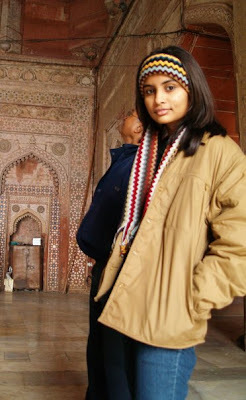 Pritish was leaning against the wall. He had lost all his hair. "Is he married", I thought to myself. He was already sloshed. He had a photograph of a girl in his hand and everytime he looked at the photo, he cried. I realised that he was in deep depair too and hence I decided to console him. Chrony : Hi Pritish. Why so sad bro? Chrony : What happened bro? Chrony: Did she ditch you? Chrony : Then why are you sad? Chrony : What? A girl stole your bullet bike? Pritish : Yes. It has been a week and she hasn't come back yet. Chrony : What's her name bro? Chrony : Oh My Goodness. Do you have her photo? Pritish : Yes! I took a picture just before she escaped with my bike. Here it is. When I looked at the picture, I started to cry too. 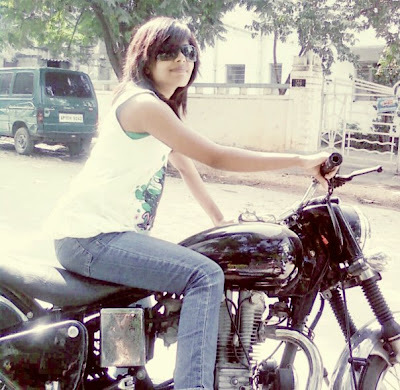 It was the same girl who stole my Yezdi bike. The same Eve. If you haven't read my love story with Eve, Click here [link]. So I wasn't the only one to be ditched by her. I couldnot imagine the number of bikes guys would have lost in recent times. I promised Pritish that I would take revenge on the female community and until I fulfilled that promise I would never wear my red underwear. 1) Conduct Chrony ka swayamvar and select a girl. 3) Push her into the sea and close her chapter. I Published an ad in the newspaper regarding "Chrony ka swayamvar" and the response was awesome. I screened through the entire list and selected four girls for the final round of "Chrony Ka Swayamvar". The four girls were Ambujam maami, Ciley Myrus, Kiss-me-tha Sen and Sweety Zinta. I interviewed them one by one. 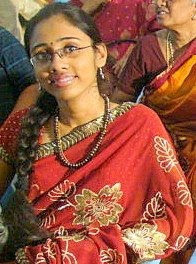 Chrony: "You look great in that red saree"
Ambujam Maami: "Oh. Thank you very much"
Chrony: "What is your educational qualification?" Ambujam Maami: " I am an Em-Be-Ae"
Chrony: "Wow! That's great. I am one too"
Ambujam Maami: "That's good. Do you play fishville on Facebook?" Chrony : What? You do not eat meat? Ambujam Maami : Yes and if you force me to eat, i am opting out of this swayamvar. Ciley bowled me over with her head band and her looks. I was immediately in love. She walked in with an attitude with her left hand inside her jerkin pocket and that floored me(literally). She came near me and sprinkled water on my face and that brought me back to my senses. Our eyes met and i winked. She turned away ( Was she blushing?). Chrony : Nice to meet you. Chrony : You look so young, cute and bubbly. Ciley Myrus : Thank you. You look young, short and lean too. Chrony: Thank you. I am glad because you called me Young. Chrony : You deserve it. I know it is wrong to ask a man, his salary; a woman, her age and a school boy,his marks.But still how old are you? Ciley Myrus : I am 15 years old. Chrony : You are so young. I am 27 years old. She left too. It was another sad moment of my life. 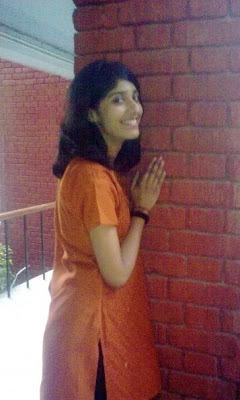 Then Kissmetha Sen walked inside the room and straight away she went near a brick wall and started posing like this. She was fair, tall and beautiful - The perfect combination that would make her every boy's dream girl. Kissmetha : No! I love posing. How is this pose? Kissmetha : You are just 5 ' 5"? Chrony : No I am 5' 45". But I round it off to the nearest integer. Chrony : I can stand on top of this table throughout my life then. She left too. It was yet another sad moment in my life. The last contestant made her way inside the room. The moment she walked in, I knew that she was the one. 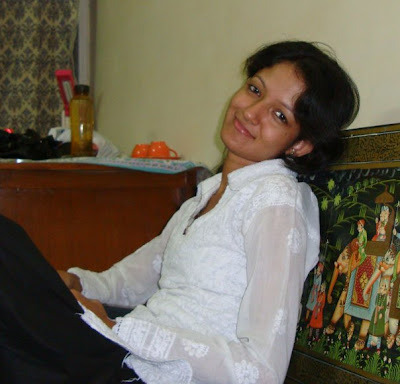 She was wearing white tops; that indicated that her heart was pure. She had a great nose and the best lips I have ever seen in my life. I fell for her. She came and sat down and tilted her head towards her left shoulder and my heart was no more with me. Sweety : I think i am in love too. Why would I apply for this swayavar if I did not like you? Chrony : Senorita. You are my Darling Princess Diana! Sweety : You are my Charming Prince Charles. My first step was over. I have selected a girl at last. Now I decided to complete the second step (The three Titanic scenes). I took sweety to my room to perform the great painting scene. Things were getting hot inside the room. The three pillows in my room had never seen such a scene before. I started humming a romantic song and the painting started. It was indeed a romantic play with the paint and the brush. If you are curious to see the sensual painting potrait, click here [link]. After the painting scene was over, I decided to take Sweety to the car. I led her to the parking lot. Sweety got into the back seat. I walked around the car to get into the back seat through the other door. But before I could open the door, somebody started the ignition of the car and accelerated it out of my house.Some body was in the front seat of the car. I never knew that Eve drove cars too. i loved this post of urs..
and the names u kept to these ppl. hilarious i say! wow!!! first time first one to comment on ur blog..!! and now pat on my back for this..! :D eve ippo zinta va kooda kidnap pannittu poitale,,, !!! EKSI !! Hahaha! Awesome cause to do a swayamvar! 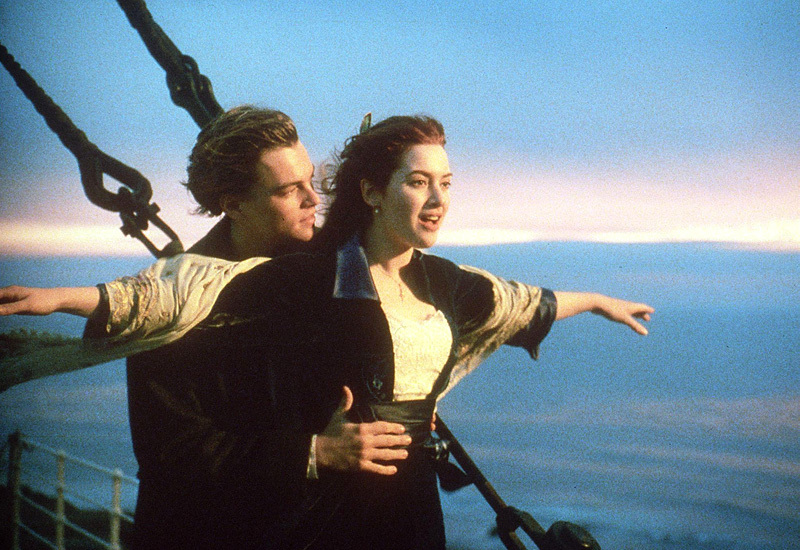 I think I shall further your cause by teaching the 3 step titanic process to every girl i meet. typical u!!!! there is no substitute i tell you !!! Don't worry Chrizy! luck turns the 3rd time around ;) ... although i'm not quite sure if it favours revenge. awesome!!! lesson learned is to never use hardly earned and owned things to impress girls....... cheaters n now stealers..... god save all men!!! Great story !! And I liked the end very much :D Eve reminds me of Irene Adler. So did you find your car or bike ? Or you are still not wearing your red underwear. You mean to say that you were conducting this swayamwar without wearing any underwear!!!!!! !.................Pun intended for Chriz and not intended for everybody else. maybe next time you should choose another titanic for the swayamvar. So even if she drives off, she'd end up with the fishes when she drives off the hull. Otherwise you do the honours. I just discovered your blog and I am sure glad that I did. Monumental post dude... what an effort! This was just mind blowing! Awesome base idea! Thanks for the smiles, esp. ur painting! still Lol! There are many things words can't buy for everything else check out chrony kay expressions.... bottoms up bro.